We love to talk about what we do. It’s a close second to our actual favorite thing: getting out in the field and deploying sensors. We can and will talk about our work to anyone. If penguins could fly up from Antarctica, we would tell them the benefits of real time alerts and alarms for penguin egg temperature monitoring. We believe in instrumenting the physical world that much. Speaking to the delegation from Nonagon Parque de Ciência e Tecnologia de São Miguel about our work in the Internet of Things, the realities of deploying these cutting edge sensors, and the real resilience and impact of this trusted data gave us a special joy. Two members of the ImpactLABS core team, myself and Managing Director Chris Rezendes, have Portuguese heritage. We are proud of our heritage and the land our grandparents called home. To speak with these wonderful people about soil, water, and air quality monitoring on the home island of our grandfather was almost surreal. The circular, cross-generational contribution across the Atlantic really drove home just how special what we are doing really is. 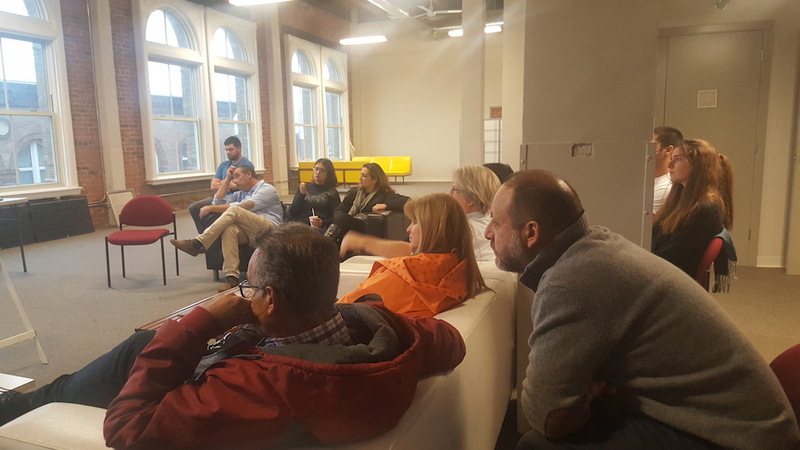 The bilingual conversation flowed both ways with topics ranging from data and property rights, edge versus cloud computing and data processing, and practical applications of IoT across a broad spectrum of sectors. Representatives from SATA, an international airline headquartered in the Azores with service to three continents, spoke extensively about the importance of air quality monitoring both on the islands and the mainland in places like Lisbon, Porto, and Lagoa. The group took both a near- and longterm view to discuss the immediate impacts in terms of risk management and liability mitigation as well as the overall resilience it would provide to their respective communities and industries. Visitors listened intently about the potential impacts of IoT. 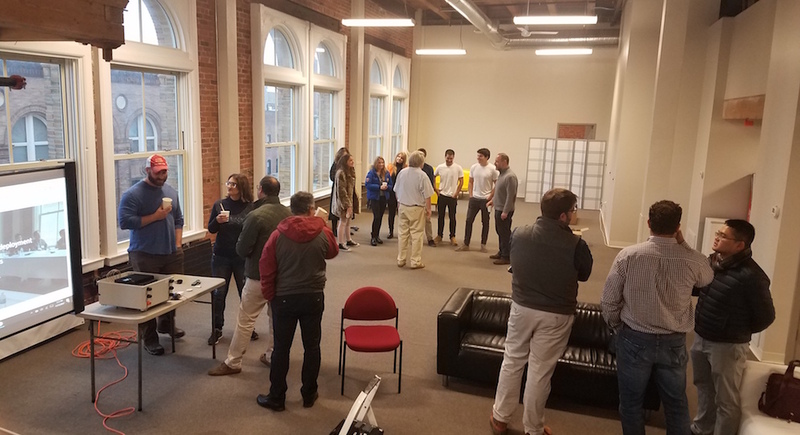 A special thanks goes out to the UMass Dartmouth Center for Innovation and Entrepreneurship, Toby Stapleton, Trai Dang, and Ed Anthes-Washburn, Executive Director of the Port of New Bedford for giving us an opportunity to play a role in the Nonagon visit. We look forward to continued work in our community, in the land of our ancestors, and everywhere else.